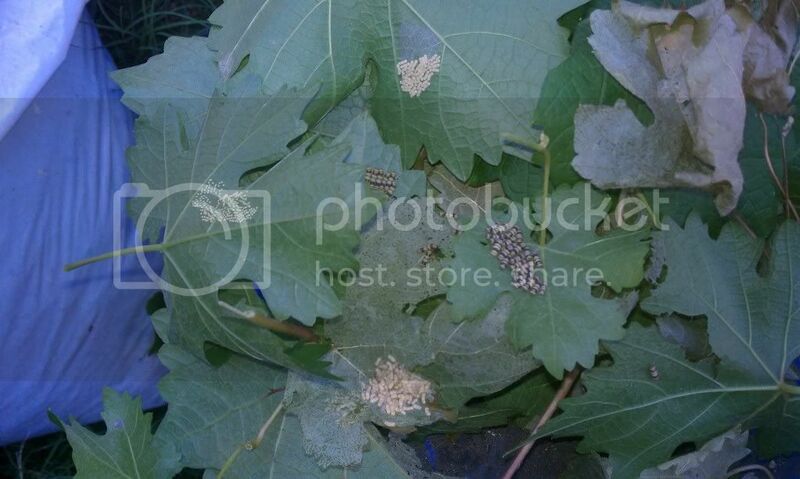 I am determined not to let these yucky little caterpillars demolish my grapevines again so I've been picking the leaves that have been affected. They are from a purple fly but I killed the ones I found before I thought to take a photo. I'm worried that when I come back from vacation they will be infested! Help!!! I've tried Organocide with no luck and don't know what else to do! Thanks in advance!